Did 7 take the bait? 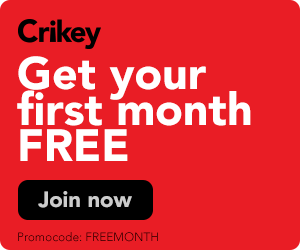 The Seven Network has denied it mistakenly bought a Kiwi satirical fishing program to run on its 7mate digital channel. 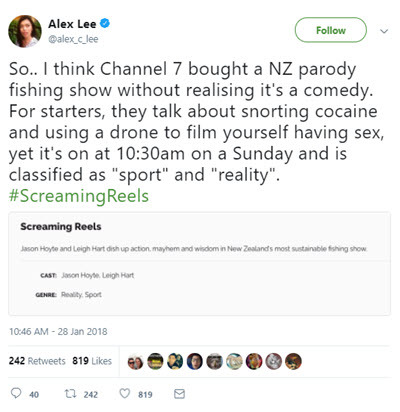 Users on Twitter yesterday started to speculate Seven buyers thought the program Screaming Reels was a serious fishing program, because it was categorised on some TV guides as "reality", "sports" and "news and documentary". Yesterday morning the show was broadcast among other, more serious, fishing programs.